Print Monkey » A Calendar for all ‘font’ geeks! A Calendar for all ‘font’ geeks! 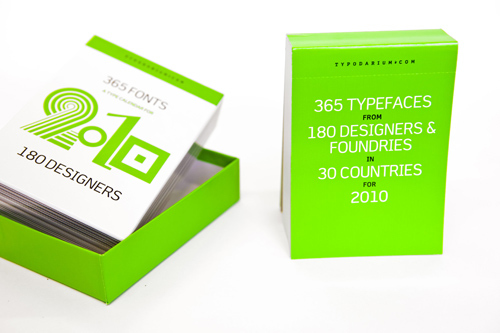 A tear-off calendar showcasing 365 different fonts. Discover a new font everyday and learn the background behind its creation. Foundries and designers from all over the world are asked to contribute with their favorite fonts. The front page shows the date, while the reverse side displays the background info, designers and reference sources. Unfortunately sold out, one for the Christmas list this year maybe!